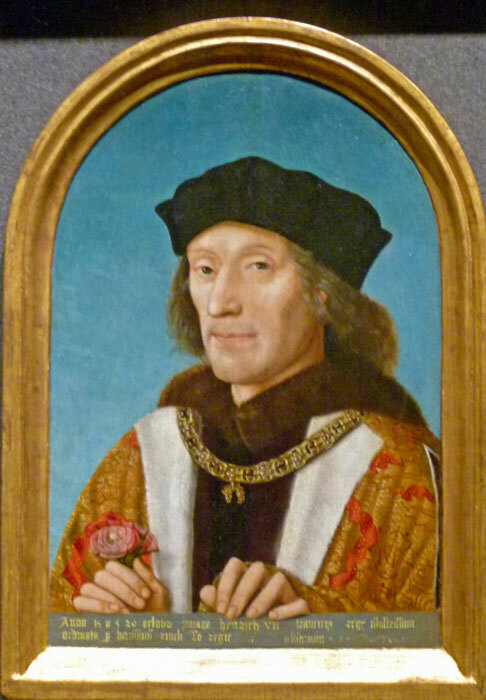 There was by no means unanimous agreement that the new Tudor King, Henry VII, had the best claim to the throne of England in 1485. In fact, depending on your point of view, his claim could be considered quite flimsy. Henry was the son of a formidable mother, Margaret Beaufort, and Edmund Tudor. Margaret was the great-great-granddaughter of John of Gaunt, Edward III’s third surviving son, and his mistress, Katherine Swynford. John and Katherine later married, but their children were often declared illegitimate – legitimacy was pretty important when it came to royal lineage. Henry’s father, Edmund Tudor, was the son of Catherine of Valois (Henry V’s royal French wife) and Owen Tudor, a Welsh courtier. So Henry VII was Edward III’s great-great-great-grandson through his mother. But, given that many of those with a claim to the throne were dead, or missing, and that Henry had just beaten the sitting king, Richard, at Bosworth, options were limited. Among the more bizarre attempted rebellions in British history were the cases of Lambert Simnel and Perkin Warbeck (or was it Lambert Warbeck and Perkin Simnel?). 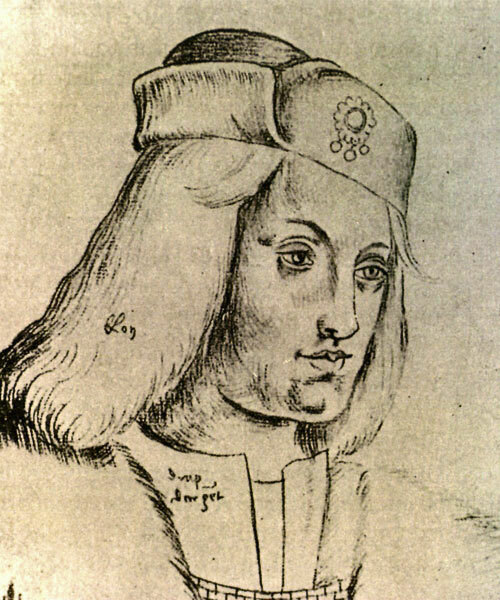 Ten year-old Lambert Simnel was first considered by his supporters as being Richard of York, the younger of the two princes in the Tower, and then the Earl of Warwick, nephew to Edward IV. He was crowned king in Dublin, a rebel army duly landed in 1487 in the north, at Furness, and made its way southward in the general direction of London. It was halted and thoroughly beaten by Henry’s forces near Newark. Simnel, who Henry recognised as being a mere pawn in the whole affair, was put to work in the royal kitchens, where I gather he did quite well. Perkin Warbeck was a slightly different proposition. Claiming to be Richard of York (again), he made various attempts to invade with the support of gullible, or perhaps hopeful, allies in France, Ireland and Scotland, and even managed to marry a Scottish princess. However, he was captured following one of these attempts and executed in 1499. If Henry had a mission, though, it was recovery after the many years of war – peace and reconciliation, if you like. His marriage to Elizabeth of York, daughter of Edward IV and Elizabeth Woodville, was a good move in uniting the houses of Lancaster and York. The Tudor rose, combining the red rose of Lancaster with the white rose of York, was a neat piece of propaganda, and branding. Henry enjoyed administration – his hand is all over documents in the National Archives. Though he has a reputation for being obsessed with money, he left England a more secure, stable, place than it had been for a very long time indeed, as well with a full royal treasury. He seems to have been cautious abroad – though he did sponsor the Genoese explorer, John Cabot, to investigate the New World, which resulted in the Tudor flag being planted in Nova Scotia. One of his daughters, Margaret, married King James VI of Scotland (remember that – she was Mary Queen of Scots’ grandmother) and another daughter, Mary, married the elderly Louis XII of France (though he died, probably exhausted, after three months). Henry’s son and heir, Arthur (named after the legendary British hero), married one of the catches of Europe, Catherine of Aragon. However, Arthur’s premature death at the age of 15 necessitated a rapid re-think to betroth Catherine to Arthur’s younger brother, ten-year old Henry. And it was young Henry who took his father’s throne as Henry VIII at the age of 17, in 1509, when his father died.